We have had almost a month to sit and stew about the repercussions of the last episode and the loss of yet another favorite character. The Vampire Diaries writers have no qualms about killing off characters that have found their place in the hearts of the viewers. Here is our list of the saddest and most heart-breaking deaths on the show. Deaths that have made us gasp, bawl, clutch onto the nearest surface for support, and sworn we would never get over. Jenna (Sara Canning) – Aunt and guardian of Elena and Jeremy, graduate student, girlfriend of Alaric. Jenna’s death in the Season 2 finale was a game-changer for the entire series, it showed that that Klaus was a true villain, who didn’t settle for measly insignificant characters he went straight for those listed in the main cast. Klaus used Katherine to lure Jenna out of her house before he turned her into a vampire and sacrificed her in order to break his hybrid curse as a punishment to Damon for helping Caroline and Tyler escape (sure he’s glad Damon saved Caroline’s life now). The loss of Elena’s only guardian, barely a year after the death of her parents, was heart-breaking as we wept along with her for the cool aunt that we all wish we had. Rose (Lauren Cohan) – The five-hundred year old vampire managed to escape Klaus’ wrath by unintentionally helping Katherine to make her existence as a doppelganger moot by turning her into a vampire and thus thwarting Klaus’ first attempt to break the hybrid curse, only to be attacked by werewolf in the middle of the Salvatore’s living room. After Rose, tired of running from Klaus (especially after Elijah kills her best friend and fellow fugitive, Trevor) offered her help to Team Doppelganger/Salvatores as she had something that they so deeply required, knowledge about Klaus and The Originals. It was not long before she, just like many other pretty young things that enter Mystic Falls, started shacking up with Damon. The big bad wolf in this equation was Jules, friend of Mason Lockwood, who was angry with Damon for killing Mason and being not one bit ashamed of it, so the night of the full moon she positioned herself outside of the Salvatore Boarding House to attack Damon, knowing that werewolf venom is poisonous to vampires and that there was no known cure for it but on the night of said full moon, Rose was the unlucky recipient of the indention of Jules’ canines. The venom from the bite eventually caused Rose to have hallucinations and go through terrible pain and in one of the sweetest moments of The Vampire Diaries, Damon shows Rose a dream of her in a meadow that she lived near as a human, where she was her happiest, allowing her one last good memory before he staked her and thus ended her misery and freed Lauren Cohan to join the cast of The Walking Dead. Alaric (Matt Davis) – Unlike the first two on this list, Alaric died many times throughout his three season run on The Vampire Diaries. The magical Gilbert Ring, which prevented him from being killed from supernatural forces (because people hardly ever get killed by natural forces in Mystic Falls) playing his savior many times. In an ironic twist of fate, the ring is what caused his demise as being killed so many times made him develop a type of homicidal schizophrenia where he would have large gaps missing from his memory. He later found out that during this time he was killing members of the Founders Council who were helping the vampires in Mystic Falls. Esther aka Mama Original attempted to turn Alaric into the ultimate vampire hunter, like her husband Mikael but who cannot be killed by wooden objects no matter how rare they are. She performed a spell on him and staked him but when he awoke in transition he killed Esther and chose to rather die than transition into a vampire. All the characters bid him a farewell in the graveyard in a sad and touching way before his best friend Damon stayed with him before he died. Unfortunately even in death, Esther refuses to give up something that she has started (a good quality to have in a personal assistant) and she uses her witchy senses to possess Bonnie into feeding Alaric and thus making his transition into Evil Alaric/Vampire Hunter Extraordinaire complete. The second death of Alaric came after it is discovered that Esther, crafty witch that she is, tied Alaric’s life to Elena’s knowing that Klaus would always want Elena alive so that he can make hybrids. After Klaus is desiccated by the Salvatore duo with a little help from Tyler Lockwood, they attempt to stash his body away only to be thwarted by Evil Alaric whose aim in life was to kill Originals, so naturally he hunts down Klaus’ body and stakes him. Unknown to the rest of the crew that Klaus, who got his craftiness from his mother, had already made a deal with Bonnie to save his soul. So Rebekah, being the valiant sister that she is, forced Matt to drive off of the Wickery Bridge with Elena in the truck. At the same time Alaric was fighting Damon over Klaus’ ‘dead’ body when Alaric dies and Damon does what he does best and brings the audience to tears again as he mourns over the loss of his best friend and the girl that he’s in love with. Kol (Nathaniel Buzolic) – Kol, the wild, younger brother of Elijah and Klaus and a member of the Original family. Kol became a quick fan favorite even after only being in a handful of episodes. 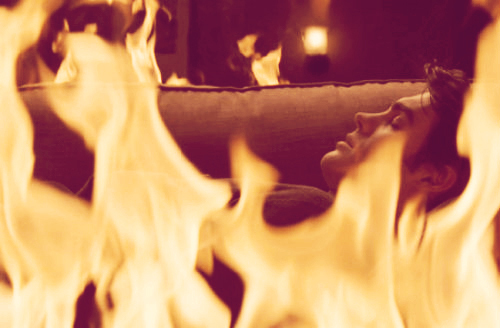 Kol spent most of the twentieth century in a coffin after being daggered by Klaus but was revived by Elijah in the thirteenth episode of season three. Rebekah summons him back to Mystic Falls in season four in order to help her find the cure and take down Klaus but after he finds out that in order to get the cure one needs to raise Silas, he starts to halt their quest. According to what he had heard from witches whom he had ran with through the years, Silas would unleash hell on earth. He tried to prevent Jeremy’s hunter’s mark from growing by killing all the vampires that Klaus had created for Jeremy to kill, he also tried to kill Bonnie who proved too powerful to be overtaken by said Original, Kol then goes after Jeremy in full-fledge attempting to cut off his arm so that he will not be cursed by the hunter’s curse. That is until Elena gets the bright idea that if Jeremy kills Kol, he would inadvertently kill thousands of vampires and thus complete the map to the cure that covers his bod. What to Elena sounds like a nice, selfless idea; sounded to the rest of us as another form of genocide. But because the show is all about Elena she succeeds in luring Kol into her home on the pretense of negotiating a truce, they fight a little, in a world where Originals used to be close to invincible, she swipes the white oak stake from Kol’s pocket, tosses it Jeremy, throws some vervain his way and Jeremy staked him, making sure we never get to see that adorable smile in present time again. The saddest part of this exchange was that Klaus witnessed the murder (yes, this is murder) and he was too late to stop it and he looked at his brother’s body up in flames with a look of utter pain and sadness, his eyes filled with tears and you just want to reach through your television and give him a hug, no one should have to watch their sibling die. And now a moment of silence for all the vampires throughout the world that died so that Team Mystic Falls could find the cure. Jeremy (Steven McQueen) – Baby Gilbert, Jeremy was proof that puberty really does treat some boys well. He went from the emo stoner in Season One to a complete heart-throb in Season Two romancing the older gal, Bonnie, Just like his temporary guardian, History teacher and fellow Gilbert-ring-wearer Alaric, Jeremy has also visited the shadowlands of death more than the average human. A notable time being when Sheriff Forbes attempted to shoot a delirious Damon (who was bitten by the werewolf, Tyler Lockwood) and Damon dodged the bullet and it hit Jeremy instead, but Bonnie pleaded to the spirits of her dead ancestors for them to bring Jeremy back to life but this comes at a cost when he was able to communicate with ghosts which wouldn’t be a problem except for the fact that all of his ex- girlfriends are dead. In Season Four, Jeremy was revealed as being a potential vampire hunter, a dormant gene until Connor Jordan, badass member of The Five waltzes into town. After Elena kills Connor, she is cursed and the only way to remove the curse is for Jeremy to kill a vampire and activate his position as a member of The Five, which he does. His mark grows after the above-mentioned death of Kol so that it reveals the map to the cure for vampirism which they get to but are unable to ply from Silas’ dead hands without a sacrifice of blood which a very tricky Katherine offers Jeremy up to be the first meal that Silas has had in two thousand years. The real emotional moment happens in episode fifteen when Elena learns of Jeremy’s death, after the loss of her biological parents, her adoptive parents, her aunt, and guardian, Jeremy was the last person she had left. To see the denial she goes through, followed by the numbness and then the hurt and sadness is painful to watch as an audience, it also helps one to empathize with a main character that has changed so much in such a short space of time. So yes, The Vampire Diaries has built up the reputation for having no mercy when it comes to killing off characters and in case you aren’t enough of a crying mess because of your favorite characters biting the dust, remember Elena, Damon and Klaus will be there to make you feel ten times sadder. I still can’t believe they killed off Jeremy, I keep feeling as though they’re going to bring him back somehow. 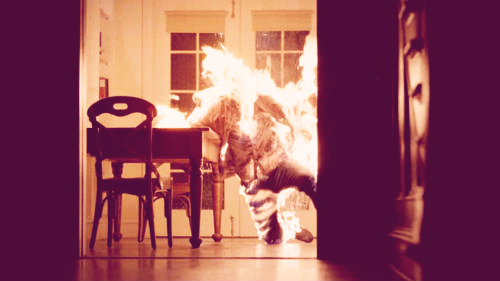 You know in Mystic Falls, no one is ever really dead, I’m hoping for Jeremy’s return! 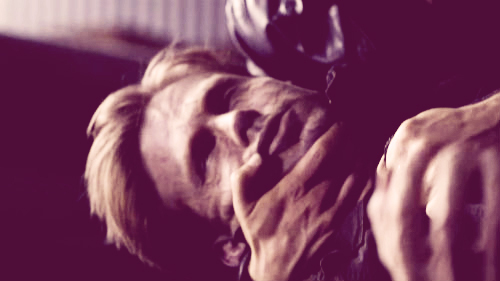 Alaric was DEFINITELY the one that punched me the hardest in the feels! Can I honorable mention Lexi? Cause even though we only knew little of her at the time I was still like “noooooo!” when Damon staked her. Love love love Lexi, it was a toss-up between her and Rose and it seemed like people were more attached to Rose so that’s why she got the coveted spot. I’m still not over Alaric and Jeremy is much too fresh.